Hello, I’m Cristina. I’m an artist, photographer, writer, and teacher in love with creativity, visual storytelling, flowers, simplicity, and slow living. I’m an introvert and HSP, and when I’m not creating something you can usually find me curled up on the sofa reading a good book, or walking in the woods. When I was 11 years old I dreamed of being an artist, living in England (I’m Italian) or in a light-filled attic in Paris, painting the day away – very bohemian and somewhat clichéd, I know! After a few interesting twists and turns, not always in the right direction I might add (as it happens to lots of us) I finally landed in England, and here I am, living in Oxfordshire with my husband and our two cats. I have a background in interior design, but my work gradually evolved into interior styling, until I finally combined two of my passions – creating vignettes and taking photographs – into a new career. I adore flowers, all things botanical, and tea. I take my photographs in natural light, to create still life images that feel authentic, evoke emotions, and tell stories. Photography for me is all about transforming one moment in time to tell a whole story: visual storytelling. I’m passionate about sharing what I know, inspiring and helping others. 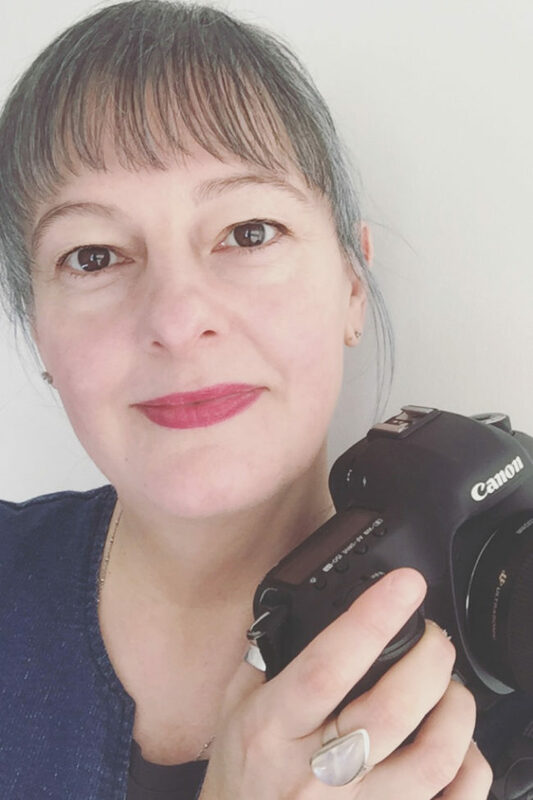 If you’d like to learn how to create beautiful images for your social media, blog, or online shop, please have a look at my Mentoring page and at my e-courses page. I also enjoy working with brands and companies who believe in creative visual storytelling, so if you are looking for fresh, inspirational photographs to share your vision on social media, websites, and editorials, please get in touch and I’ll be delighted to talk about how we can work together. Once or occasionally twice a month I send out a Creative Note to my subscribers – a letter from the heart where I chat about creativity and share what goes on in my life and in my work. Signing up also gives you access to my Inspiration Library, where you can find free resources like desktop wallpapers, phone wallpapers, creativity workbooks and more.